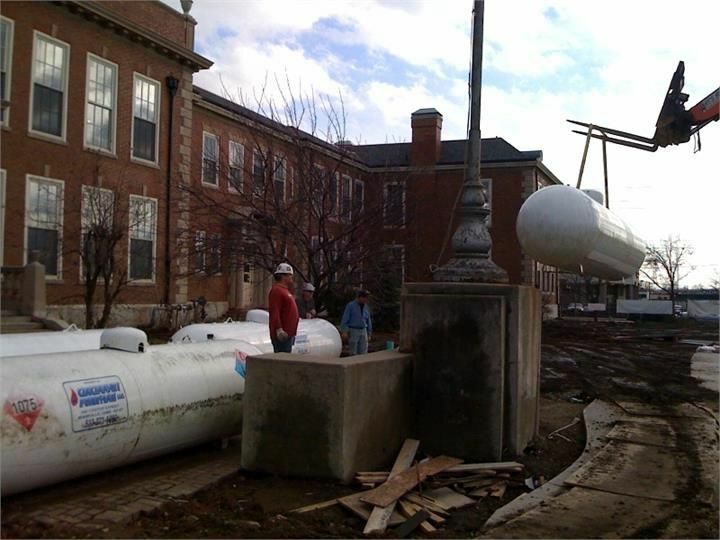 All propane tank and cylinder sizes are available for commercial, residential and temporary heating applications. 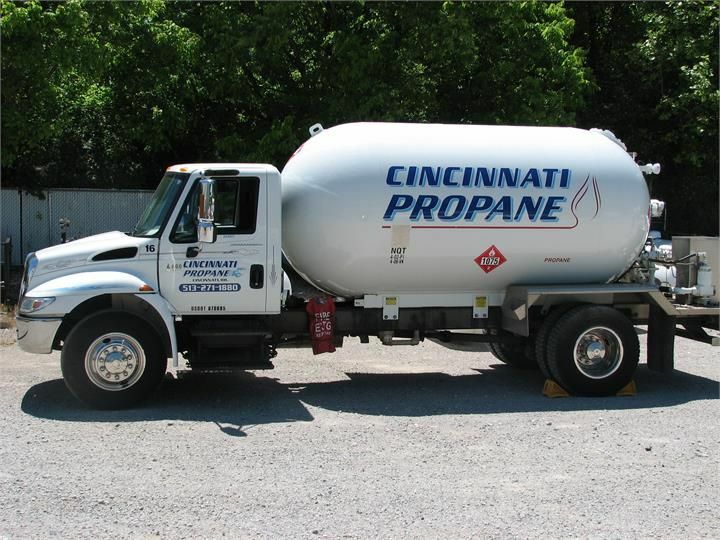 Please call us for an individualized, no hassle approach to your home and business propane needs. On road and off road diesel fuel is available for commercial and industrial use only. At this time, we do not provide home heating oil. 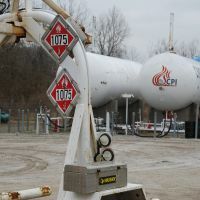 Propane is now the most widely used alternative fuel in residential homes because it‘s safe, cost-efficient, and offers lower carbon emissions. From energy-efficient tankless water heaters to stylish stainless-steel appliances, propane products offer you exceptional performance at a much lower cost than electricity. 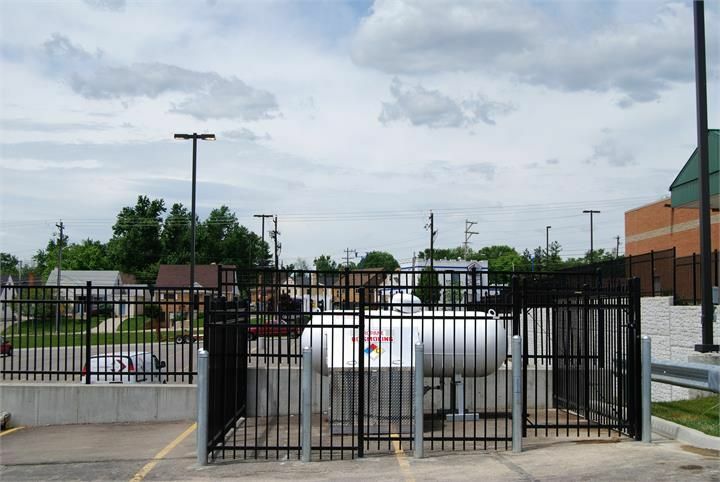 We offer propane dispensers for high volume customers and provide free training for all company employees. 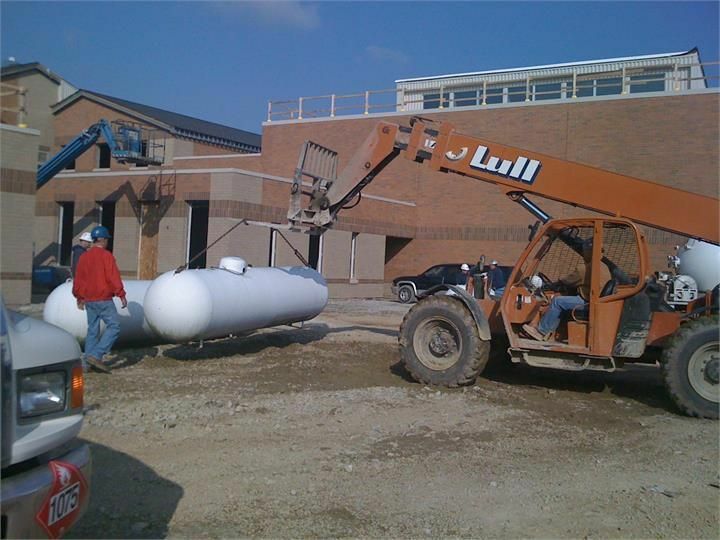 Whether it be a propane powered forklift, commercial kitchen, or heat for your business; if it uses propane, we have the knowledge and experience to provide the right solution every time while keeping you, your company and your employees safe. 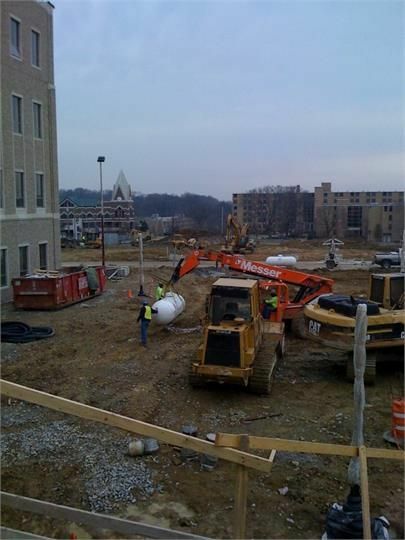 All sizes above ground and underground propane tanks are available for commercial installation. 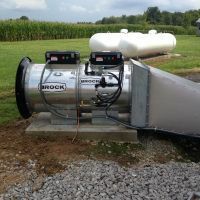 Propane powered furances, water heaters, and pool heaters require uninterrupted service and a constant supply of propane to function to their fullest efficiency. 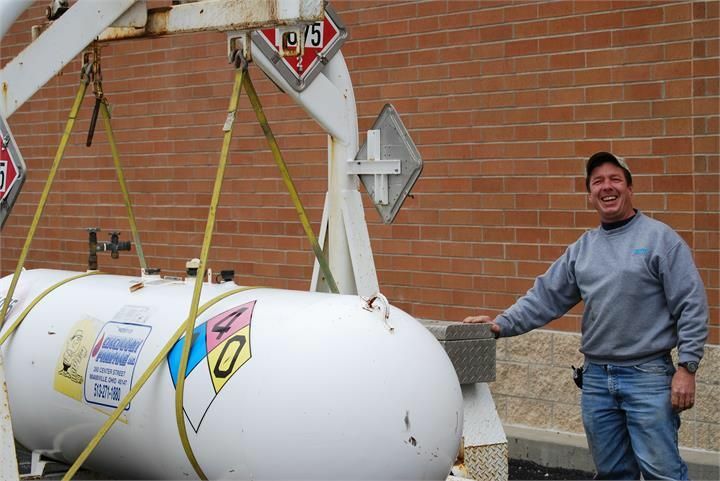 Our customers know they can count on us to keep their propane tank filled at all times, and when there's an emergency they know they are in trustworthy hands. 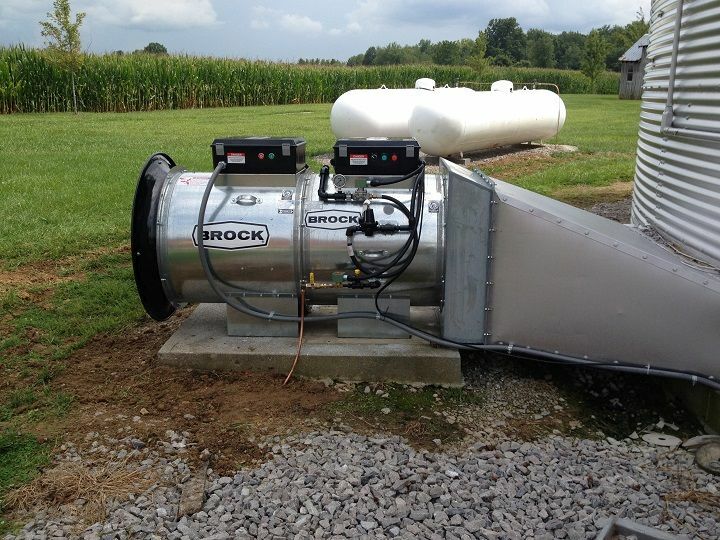 We offer a propane solution to any combination of appliances you may have. 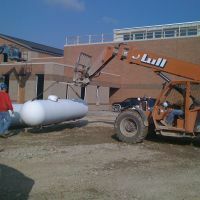 Automatic deliveries (auto fill) ensure that you will always have propane when you need it. 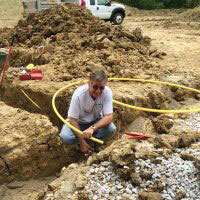 All sizes above ground and underground tanks available for installation. Mother nature is anything but predictable, and we understand that you can't afford it to dictate your schedule. We are able to provide a complete solution to keep nearly any size structure warm enough for any form of construction or finish work. 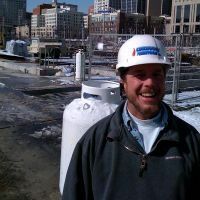 Contractors know they can count on us in a pinch to keep their job on track. 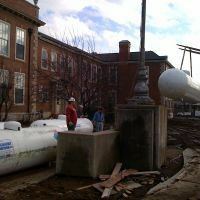 Propane tanks and heaters are the most portable, safe, efficient option for temporary heat. 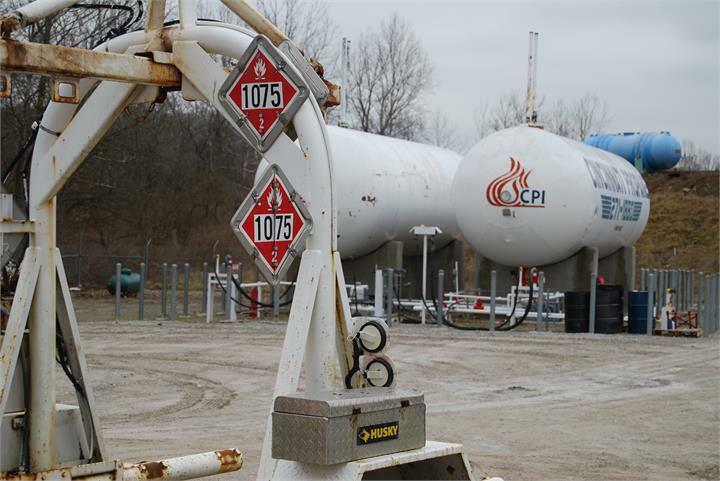 All size propane heaters, tanks and hoses are available for rental. 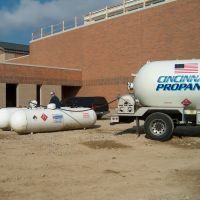 Our family owned and operated company was established in 1991 and has been responsible for providing exceptional propane service for residential and industrial users throughout Greater Cincinnati, Northern Kentucky and Greater Dayton. 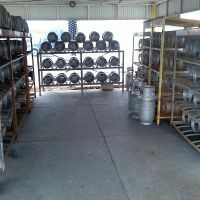 Our specialty is providing outstanding service and products in a timely manner. Our regular customers have come to particularly value our commitment to their needs while maintaining an emphasis on safety and value. 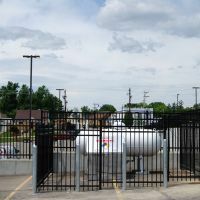 We provide a no hassle approach to fulfilling your propane needs, from initial installation, ongoing refills to routine maintenance and repair. As a well established small business, we are able to go above and beyond our customers' expectations, well exceeding the accepted industry standard of (customer) service. 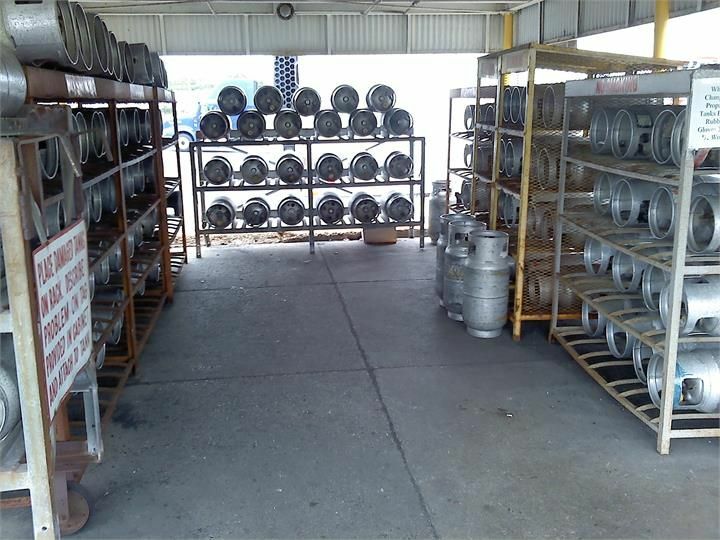 We understand that every person and business's needs are different and we strive to work individually with all of our customers to provide a unique solution to meet and exceed everyone's expectations. Immediately put out all smoking materials and other open flames. Do not operate lights, appliances, telephones, or cell phones. Flames or sparks from these sources can trigger an explosion or a fire. Get everyone out of the building or area where you suspect gas is leaking. 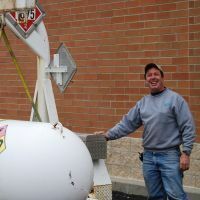 Turn off the main gas supply valve on your propane tank if it is safe to do so. To close the valve, turn the handle to the right (clockwise). 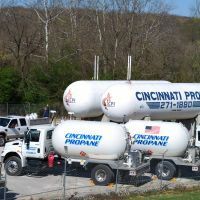 From a neighbor's home or other nearby building away from the gas leak, call Cincinnati Propane right away. In case of a fire call 911 or your local fire department. 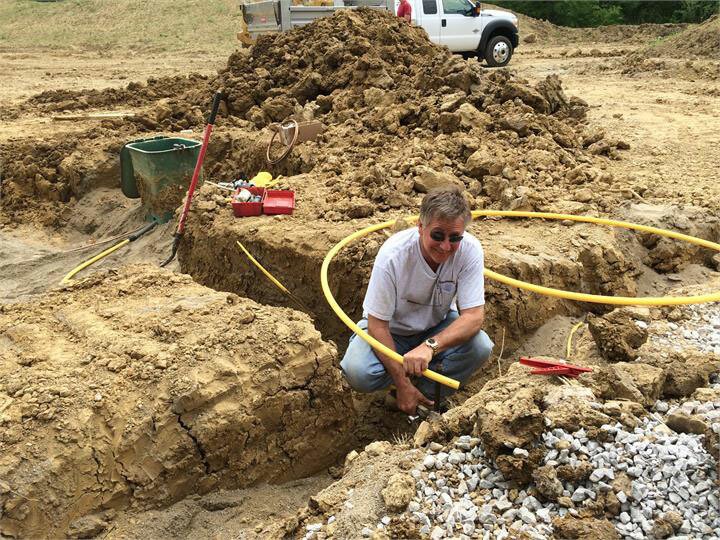 until your trained service company has resolved the situation. 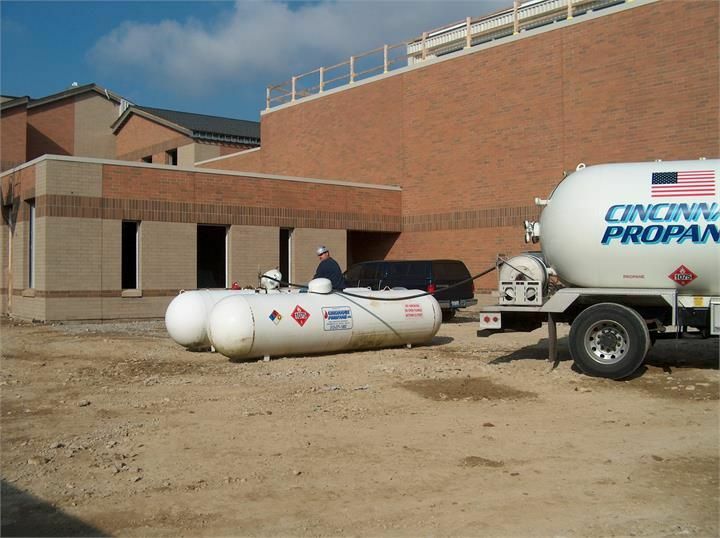 Service or repairs to a propane system must be done by a trained propane service person. Do not attempt repairs. IF YOU SMELL GAS: NO FLAMES OR SPARKS! 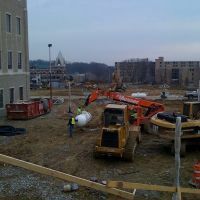 Company employees are readily available 24 hours per day, 7 days per week. 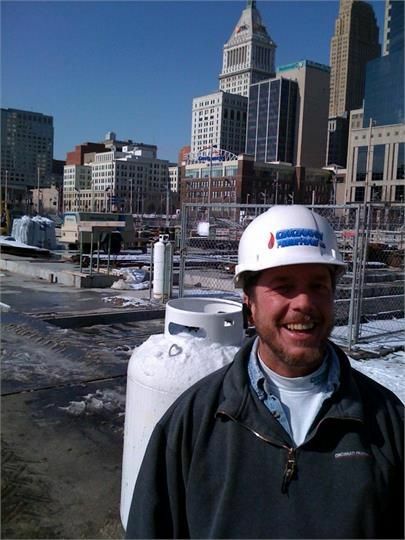 Rest assured your call will be answered and taken care of by a properly trained propane professional. Feel free to call our office or email us and we will be happy to assist you. Propane, an important part of America's energy mix for more than a century, is a byproduct of natural gas processing and oil refining. 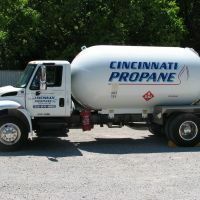 What makes propane popular with users, however, is what separates it from conventional fuels like gasoline and diesel. 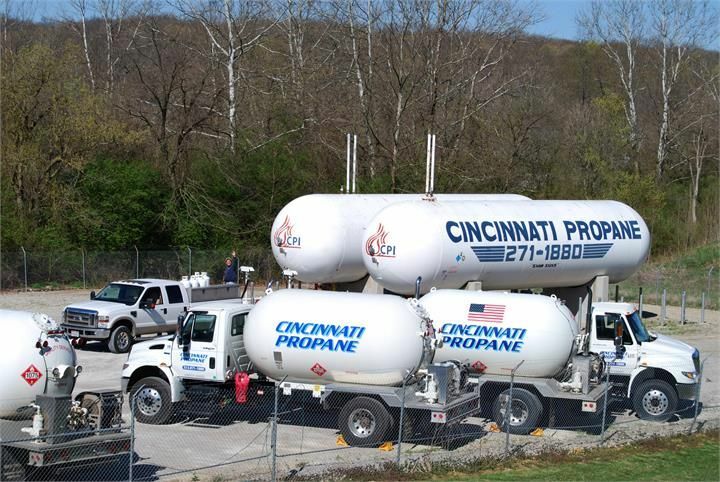 Copyright © 2018 Cincinnati Propane, Inc.